Both places, Mathare and Kibera are a reflection of low income areas with overcrowding, lack of social amenities, high crime level, unemployment, teenage pregnancy cases, gender based violence and general lack of strong accountability and governance structures. Mathare a place of less than 3 Km sq has more than 200,000. Mathare and Kibera share four things in common. First both had quarry at stage in life. Second they neighbour some of the most rich neighbourhoods. Kibera has Karen while Mathare is to Muthaiga. Another interesting observation is that the too have golf courses nearby. Mathare is next to Muthaiga Golf Club and Kibera has Royal Golf Club. Major road road construction are going, across Kibera we have while Mathare has Thika Highway. Despite all these abundance nearby there is imbalance in the investment made by civil society. Kibera attracts high profile attention and funding than Mathare. 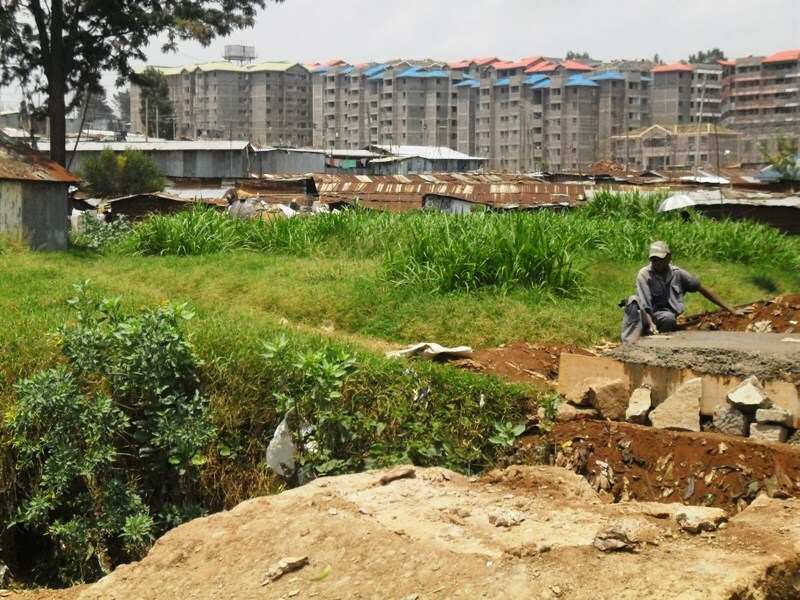 The slum upgrading in Kibera is just one of the example how huge investments have been made. One might argue that most of the land in Kibera is government owned and that is why is easy to carry out housing projects.